A Burntwood man is celebrating his 91st birthday with millions of people on Twitter and Facebook after a photo of him went viral this week. Fred Wright, who was 91 yesterday (Monday 14th August), was snapped enjoying his birthday cake when he attended the St Giles Computer Social Group last week. He’s attended the group, which meets at the Lichfield hospice, for a year or so and is the oldest member, said St Giles Community Engagement manager Ian Leech. “Fred’s a fantastic example of someone who is still learning in their tenth decade so it seems a brilliant opportunity to show that on social media,” he said. “We expected maybe a hundred likes on Facebook and some retweets but we really didn’t expect the response we got! Twitter analytics show that Fred’s picture has reached more than 5 million people and has been retweeted more than 43,000 times and on Facebook has been liked 2700 times and shared more than 2000 times. Messages have come from across the globe and he’s had birthday messages from Boy George, Janice Long and Barbara Dickinson, plus a host of others. He’s even got his own hashtag #MakeFredFamous which has been picked up by hundreds of Tweeters. Fred celebrated his birthday with family but is looking forward to catching up with the computer club to see just how far his photo has reached. 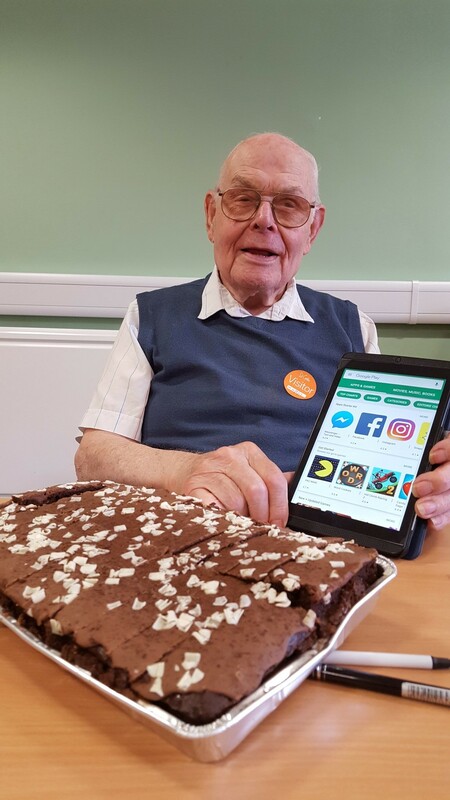 Fred’s technology journey started when a family member bought him a tablet and he joined the computer group to get online. “I spotted a story in the local paper about the group and decided to go along and it’s been lovely to learn so much and to be part of the group, which is really friendly,” he said. “I never expected to be famous like this though but it’s great to be able to help the club and the hospice. “I use the internet for things like YouTube – I love opera and follow singers on there and as an artist, I enjoy watching other artists paint. St Giles CEO Emma Hodges said the response to #makefredfamous was phenomenal and really demonstrated the positive impact of social media. “Our volunteer led computer group encourages local people to come together, chat, learn and make new friends,” she said. 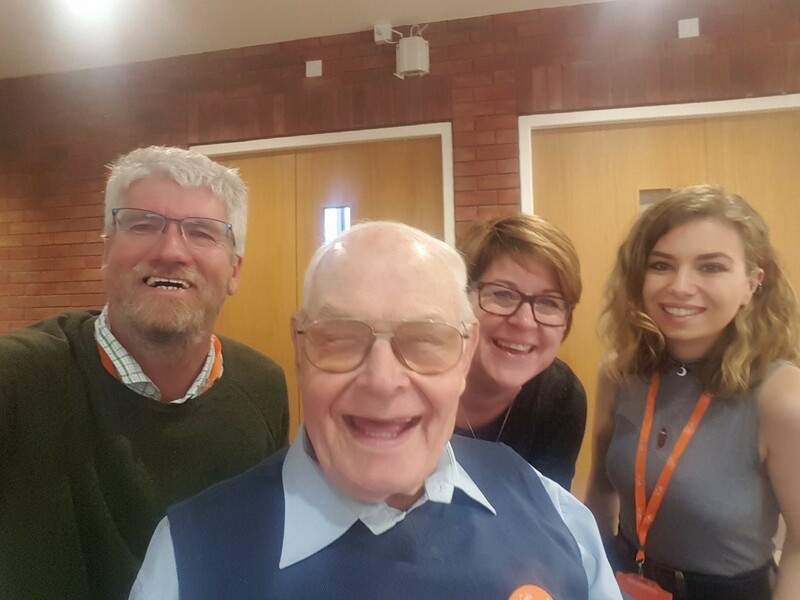 “Fred’s story really shows that it’s never too late to start learning and we’ve seen so many positive stories shared about older people engaging with technology.